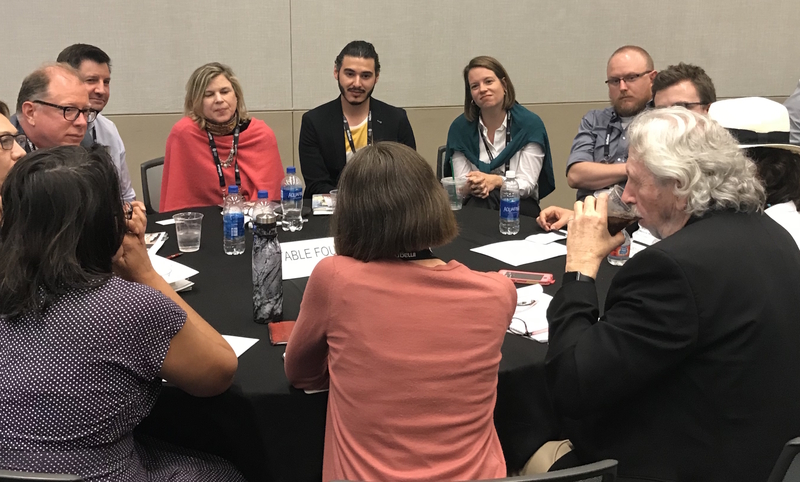 Convene Annual Meeting During the annual meeting of the American Alliance of Museums (AAM), ICOM-US presents its annual business luncheon, programs, and activities to network and spotlight timely issues. Keynote speakers have included Richard Kurin, Smithsonian Institution; Michael Conforti, formerly of The Sterling and Francine Clark Art Institute; and Cristian Samper, World Conservation Society. For details on our 2019 keynote speaker and programs, click on ICOM-US Annual Meeting. 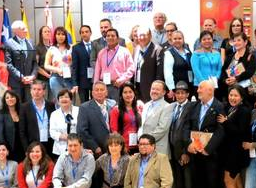 Support International Conferences In 2018, ICOM-US joined ICOM-Canada in providing financial support and speakers for the Andean Summit of Museums of the Americas in Quito, Ecuador, organized by ICOM-Ecuador. Presentations, panels, and visits to museums centered on the theme of economical sustainability of museums and heritage sites with their communities and a spotlight on indigenous peoples who participated. 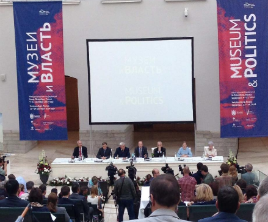 Co-Organize International Conferences In 2014, ICOM's national committees of Germany, Russia, and the United States co-organized a conference exploring the theme Museums and Politics in St. Petersburg, Russia. This event offered a unique opportunity for museum professionals to exchange views, leading to joint projects and increased intercultural communication. Sponsored International Conferences in the U.S. 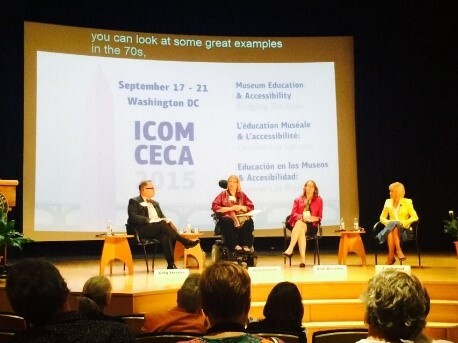 Among the conferences ICOM-US has sponsored are those of ICOM-CECA (Committee for Education and Cultural Action), which addressed museum education and accessibility, and INTERCOM (International Committee on Management), which explored the topic of leadership for a sustainable museum. Provide Travel Grants ICOM-US provides grants for ICOM-US members to travel to ICOM meetings and conferences around the globe as announced by ICOM-US. To be considered for a grant, ICOM-US members must submit applications.